She is so cute!! She looks so much older now! It seems like just yesterday I was reading about her coming home. Where does the time go?! She is so cute. i think she is growling like a tiger. oh my, she is so beautiful! 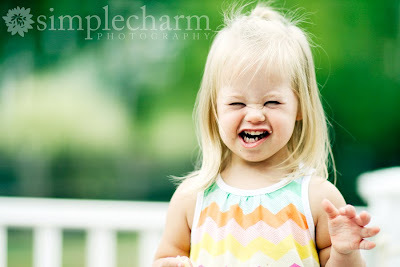 She is adorable with her cheesy smile! Love the cheezy smile!! Could she be any cuter? I think not :)!! You are blessed with some adorable children! Luv, luv, LOVE HER!!! So cute! She is so cute! Her hair is getting so blonde! What a doll baby!